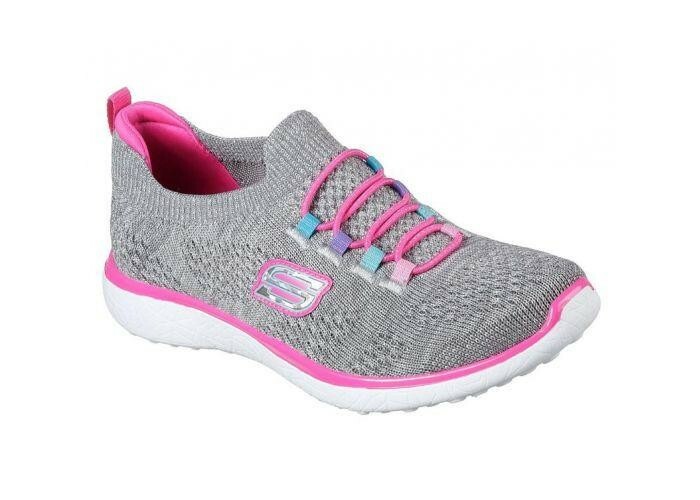 Make it super easy for her to get comfortable, sporty fun style with the SKECHERS Microburst - Sparkle Bounce shoe. 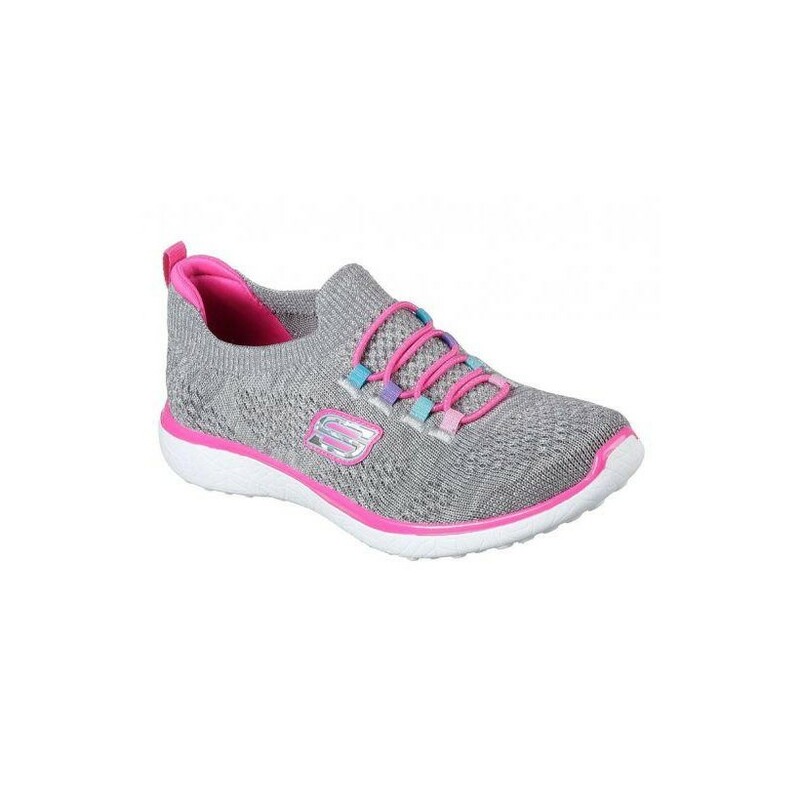 Make it super easy for her to get comfortable, sporty fun style with the SKECHERS Microburst - Sparkle Bounce shoe. Soft mesh fabric upper in a slip on sporty comfort walking sneaker with Burst material midsole and Air Cooled Memory Foam insole.